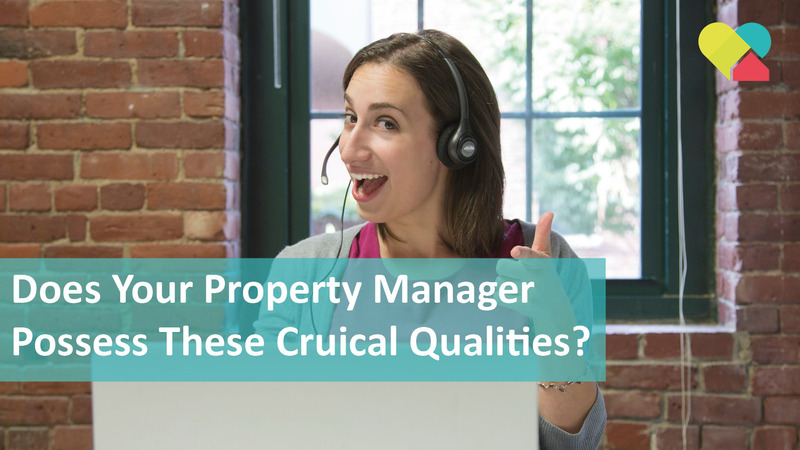 Does your property manager possess these two crucial qualities? Choosing the right property manager to take care of your investment property can be a tough decision and one that’s important to get right. When you hire someone to run a business for you, you expect regular communication and to be kept in the loop at all times. The same goes for engaging the services of a property manager. A good property manager will keep you abreast of all the information you need to know about the tenants and the property itself. They’ll update you when they’ve conducted routine inspections, so you know how well the tenants are looking after your property. They’ll notify you as soon as possible of any issues, good or bad, which could impact the tenancy and the viability of your investment. They’ll also display great attention to detail, and be adept at the “little touches” that can make big differences – such as noticing minor maintenance issues and dealing with them before they become big, expensive ones. In other words, they treat you like their boss, and they aim to keep you happy by managing your property or portfolio professionally. It’s not enough to simply source and screen potential tenants – a top-of-the-line property manager will also have the skills to hold on to good tenants long-term. Obviously, there are occasions when tenants will need to move on that can’t be avoided, like relocating for work or buying their own home. What you don’t want, however, is excellent, responsible tenants giving notice to leave because they’re fed up with a lack of communication, delayed repairs, or unreasonable rental increases. A skilled property manager will be on top of his or her emails and phone calls, with customer service their highest priority. They’ll chase up tradesmen and keep the tenants up-to-date with the progress of any repairs or maintenance. Plus, they’ll make good tenants feel appreciated and valued. They will also have a solid understanding of the local market, and know when is the right time to bump up the rent, and by how much. As a landlord, increasing the rent might sound tempting, but if it pushes the property outside the budget of your current awesome tenants, then it’s not a sound strategy. So many tenants report that they’re unhappy with their landlord, when in fact it’s often the property manager who’s at fault, failing to report issues or act on requests. Do your research – don’t be tempted to sign up with the same agency who sold you the property simply because that’s the path of least resistance. It may seem easier, but they might not offer the best value or service, so shop around. Enquire with several agencies, and let them know you’re weighing up your options. With any luck, their competitive edge will kick in and you’ll be offered better service to win you over. Ask for references and look at reviews – are their previous clients happy with their level of service and results? Check out their rental application form so you know exactly which questions are being asked of potential tenants, and how thoroughly they are screened before they’re given the keys to your property. If you plan on growing your property portfolio, look for a manager or agency that can grow with you. You’ll save a bundle in commissions by keeping your properties with the same agency, not to mention time and hassle. It may sound simple, but being able to manage and maintain a healthy and happy relationship with both landlords and their tenants is a very valuable skill and a good indicator of how well the property manager will be managing your investment(s). For property management in Perth with passion, contact us today to schedule your free rental appraisal and discuss how we can help.